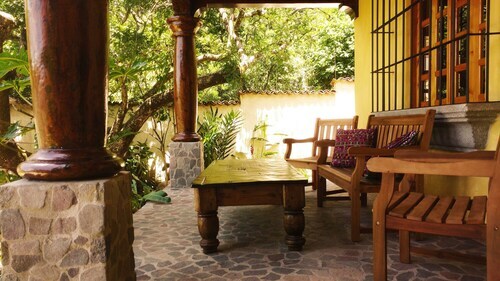 Expedia has some San Marcos La Laguna travel packages ready and waiting. Combining your airfares and accommodations is one of the easiest ways to save money on your upcoming adventure. Select from more than 400 partner airlines and 321,000 worldwide properties via our enormous database of flights and lodgings. Fly with who you want, stay where you want — now that's the perfect vacation! It's enjoyable to just stroll around the streets when you're in a new destination, but sometimes it's sensible to have an agenda. Grab your itinerary — we have lots of awesome ideas for your San Marcos La Laguna vacation. San Pedro Volcano is a breathtaking reminder of the raw power of Earth's inner layers. There's an excellent range of things to keep you busy in and around this destination. If you're up for some spiritual enlightenment on your getaway, swing by Church of Saint Peter. Who knows, you may even discover the answers to some of life's most important questions! Still have some time on your hands? The preservation and protection of valuable habitats and species is increasingly important. Immerse yourself in the tranquility of nature at Atitlan Nature Reserve and see how many animals you can spot. Locating somewhere comfortable to stay is often crucial to the ideal luxury getaway or cheap vacation. 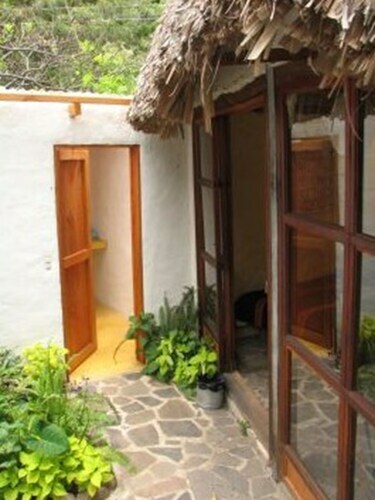 With just 8 accommodations in San Marcos La Laguna, make sure you book as soon as you know your dates. Begin your vacation on a lavish note by slipping between the silky sheets at the Laguna Lodge Eco-Resort & Nature Reserve (1 Tzantizotz). Alternatively, the La iguana Perdida (Santa Cruz La Laguna, Sololá) is a great place for the thrifty traveler to get their forty winks. 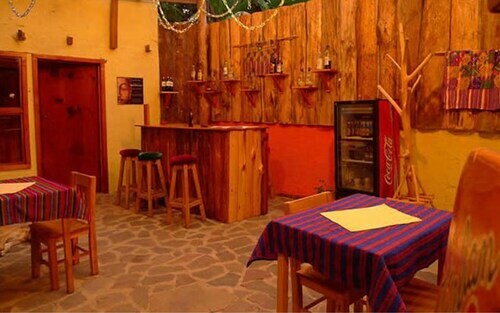 Organized the flights for your trip to San Marcos La Laguna yet? When you arrive, prepare to walk out into La Aurora International Airport (GUA). It's 50 miles (80 km) from here to the center of town. La Paz truly is a beautiful place to find peace. The gardens are amazing and they grow some of the fresh natural food served in the cafe which is delicious. Highly recommend this wonderful place! 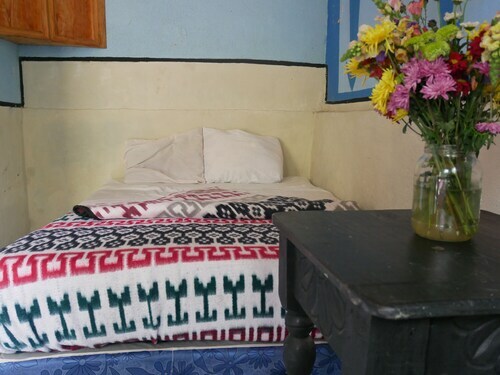 Situated in San Marcos La Laguna, this hostel is 2.7 mi (4.4 km) from CHIYA Art Gallery and within 9 mi (15 km) of Church of Saint Peter and San Pedro Volcano. St. James the Apostle Church and Central Park are also within 20 mi (32 km). Amazingly beautiful view! Great amenities, and well-located. What to do with garbage was confusing though (throw organics off balcony and leave the rest is what we did). Asked the caretaker for a broom when it became clear that no one was cleaning during our stay, but never received one. 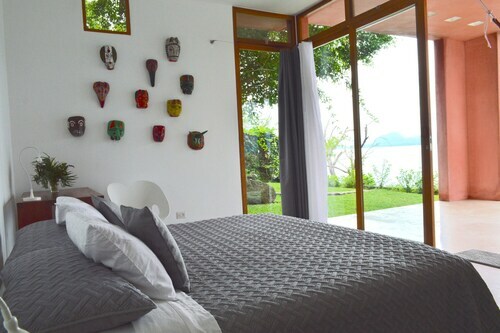 Situated in San Marcos La Laguna, this romantic vacation home is 3 mi (4.8 km) from Church of Saint Peter and 3.1 mi (5 km) from CHIYA Art Gallery. San Pedro Volcano is 8.3 mi (13.4 km) away. 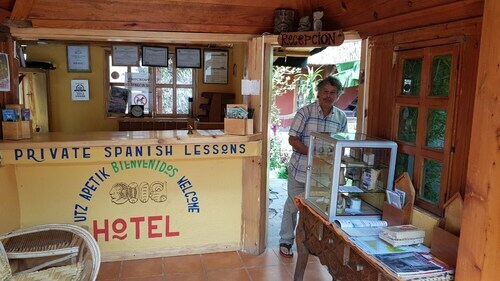 Situated in San Marcos La Laguna, this hotel is 6.1 mi (9.8 km) from Church of Saint Peter and 8.2 mi (13.3 km) from San Pedro Volcano. Central Park and Church of Saint Francis are also within 32 mi (52 km). Thu., 26 Sep. - Sat., 12 Oct. Thu., 23 May - Mon., 27 Jan.